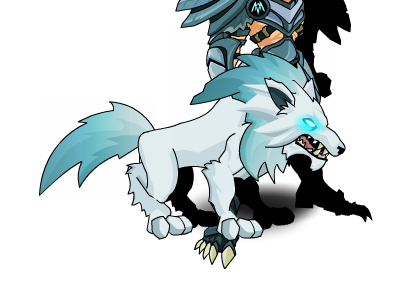 Description: A lone wolf the hibernates when the days are longer, but when the tables have turned, It is on the prowl in its hunt for a companion to share its collection of ice crystals with. Today, it has found you and now you'll never look at them the same way again. Notes: Also see List of all Wolves.